Two TruexCullins projects are featured on the covers of 2 national publications this summer: Traditional Home Magazine and American Spa. The July/August issue of Traditional Home showcases on its cover the farmhouse style kitchen of the Moxie Hill Farm house. 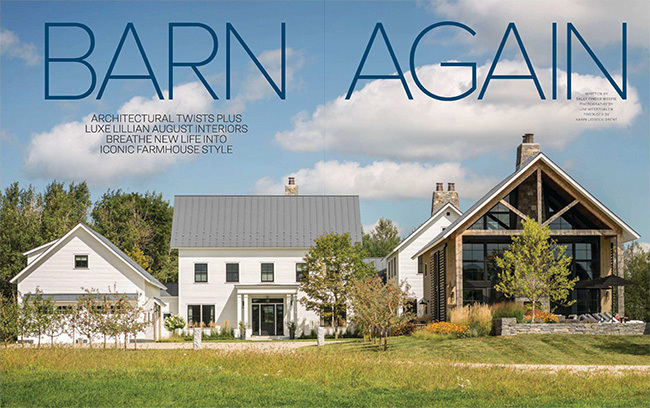 Inside, a 10-page feature article tells the story of this “sophisticated country” home, inspired by the connected farmhouses and barns of the Vermont landscape. The owners enlisted TruexCullins architect Lee Grutchfield to design a house large enough for entertaining, but one that still feels intimate for family and friends. The article is filled with stunning photography by Jim Westphalen that beautifully captures the essence of the house. 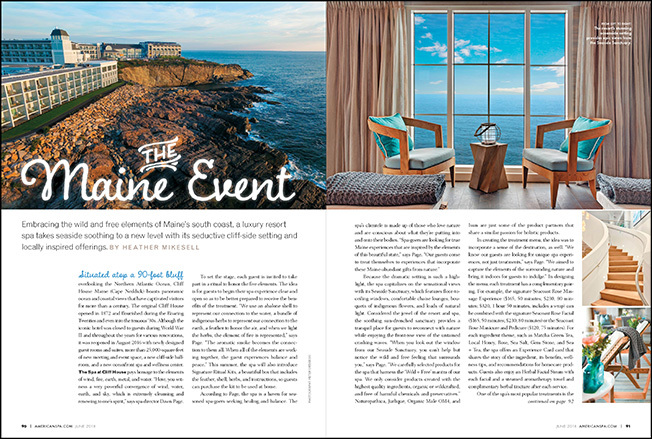 Our second project to grace the newsstand this summer is the Spa at Cliff House Resort, featured on the cover of the June issue of American Spa magazine. The Spa at Cliff House opened in October 2016 and was a key component of the $60 million Cliff House renovation and expansion project. The 9,000 square foot spa features a dramatic twisting staircase descending to the spa lounge, and a serene palate inspired by the elements of fire, water, earth and sky. The resort is perched atop a 90-foot bluff, and the entire spa is oriented to the dramatic ocean views. The Spa at Cliff House was also named a Finalist in the Best Spa / Wellness category of the Hospitality Design awards, and is featured in the June 2018 issue of Hospitality Design Magazine, alongside another TruexCullins project also named as an award finalist, the Mountain Modern Motel. To download a PDF of all these articles, see our Publications Page.